Angel penguin in vectorial graphics! 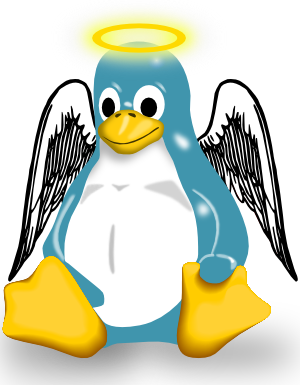 I have made an angel penguin in vectorial graphics (svg with inkscape). It is based on the original Tux from Larry Ewing. acknowledged for the original work. Let me know what you think of it and if you'd like me to modify it.